1. 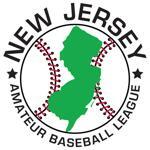 What is the goal of the New Jersey Amateur Baseball League (NJABL)? The league is dedicated to providing the very best amateur baseball experience possible in NJ, with offerings in wood and metal. We have structured the league around our teams, re-investing profits back to the players in the form of mobile technology, officiating, playoffs, team equipment, All Star Weekend and trophies. We know that you play baseball for the love of it, so we think you should get what you pay for out of it. This league is for everyone, and we aim to ensure that you receive the most professional baseball package on the market. 2. How are you able to offer all this for $1,700? The answer is simple, we reinvest in our players/teams and are not looking to make as much profit as others. We want the league to be considered the best for the competition, the benefits and the overall experience. 3. What are the age requirements? All players 18+ are eligible to play, with no restrictions on players who have participated in professional baseball. 4. Is this a Sunday League? While the entire regular season will initially be scheduled for Sundays, there is a chance that teams will be asked to play games on Saturdays for make-ups of regular season rain outs (potentially weeknights if both teams agree). In addition, once playoffs start the format may require Saturday/Sunday games in order to complete the season on time. So while the majority of the games will be played on Sunday, there could possibly be games played on non-Sundays. 5. How is league broken down? The NJABL offers different skill levels of wood bat leagues. We offer Amateur, Intermediate, Premier levels of play, and split leagues regionally to reduce travel time. · TDBank Ballpark or Yogi Berra All-Star Game : We believe the all-stars deserve an immaculate field to play the ASG in. · Spring Season 18 Game Regular Season: When you look at other leagues that promise 20 game seasons, how many teams actually complete 20 games? How many regular season games are as a result of forfeits? Since about 40% of teams play the full 20 game schedule, we decided it wasn’t worth paying for it or planning games that don’t get played. This will allow us to start the Spring Playoffs earlier, and thus give you more time with your families in August. Additionally, we save you the extra 4 games of umpire fees, which tend to be meaningless match-ups. · Collegiate Style Double Elimination Playoffs: You play all regular season to make the playoffs, and we don’t believe that one and done should be the case for half the teams that make it. We are instituting a double elimination tournament, which means each playoff team is guaranteed 2 games. · Game Photos: Throughout the season, the league will either hire or the league staff will show up to games and take high quality action photos for each team free with their league fee. · Mobile Technology: We are the only league offering a mobile app to each team for real time game day scoring. You can toss the paper score books to the side, and with our app you can now update your teams stats in “real time” from the field. Ever curious what your competition across the state is dong during their game? Now you can check in and see as the action happens. In addition, you will have roster access for your opponents, and the ability to upload photos/videos from the field! All seamlessly integrated with our league site. 7. What are double elimination playoffs? Double Elimination means two losses to be eliminated. Each team is seeded, and start in the winners bracket. Once the first round of games are played, the winners remain in the winner’s bracket to play one another, while the losing teams start the Elimination Bracket where it’s sudden death. The last team standing in both brackets advance to the best of 3 finals on a premium neutral field. 8. How does the mobile application work? With your league fee, you gain access to our mobile app which is a free download. We will assign the manager access to use the app for their team. When a game starts, you enter each play like you would in a normal score book… only the app uploads in real time to our league site tracking the scores/stats for the game. 10. Does the league have a refund policy? We will refund team deposits 30 days prior to the start of the season with applicable reason. A deposit, essentially is a commitment to play the upcoming season and we have to begin the process of purchasing baseballs, insurance, umpire assigning and logo creation which is a strain on our resources. Once we are within a month of Opening Day, there must be a legitimate reason... and refunds will be issued "minus" any expenses accrued by the league as noted above. 11. When are schedules created and posted? In mid-March we lock the leagues up, and begin preparation of schedules. You can expect to see the full season schedule by the end of March. While locations may be "TBD" while teams finalize permits for the season, opponents and dates will be firmly in place. 12. Does the league provide jerseys? Jerseys are not included in your league fee. We do work with vendors to ensure our teams get the lowest pricing possible, but that comes at an additional cost to the team. While our services are free, the uniforms will cost additional. 13. Does the league pay for umpires? Umpire assigning is something we cover as part of your league fee. Each team is responsible for paying umpires for all regular season games (roughly $1,300 total). In playoffs, all Finals umpires are paid by the league. 14. What do the Championship teams win? We structure our awards different than other leagues. If playing in a North/South league, all regional winners receive our Crystal Championship Trophy as well as player photo plaque awards. In the League Championship (North v South), the team wins the Commissioner's Cup, a large tower cup trophy with all previous winners engraved on it. For smaller leagues with no regional breakout, the Crystal Championship Award goes to the team manager, and individual player photo plaques are also handed out.